I genuinely do not seek out conflict. I am not one of those people who thrives on crisis and seeks to create drama. I know that my belief system causes me to be in conflict with others. I understand that is unavoidable. You cannot be vocal about your beliefs in the midst of people who do not agree and expect that we will all just get along without a degree of friction. I’ve been in conflict with volunteers at high kill animal shelters for a very long time. A lot of people think I’m intolerant and I’m perfectly fine with that because I am intolerant when it comes to having my tax dollars and donations used to kill healthy and treatable animals. Although people from outside animal welfare circles may presume that we all stand for the same thing, that we all champion the cause of saving lives, that is not always the case. As was said by one of my mentors during a radio interview last November. No. We cannot hug it out and just all get along. We are two separate factions of people and we often share little in common in terms of what we value. If you are a volunteer at an animal shelter that routinely and systematically destroys healthy and treatable pets, I will applaud you for your efforts to help animals based on a few conditions. I want you to educate yourself on programs being used across the country to save shelter pets. I want you to question why it is that the shelter in which you volunteer destroys animals when other places across the country are saving animals. I want you to voice your protests over the destruction of animals which could and should be saved. I want you to speak loudly and with a sense of urgency when you know that animals in the shelter have veterinary care delayed or denied, get sick due to lack of vaccinations and proper cleaning protocols or are allowed to kill each other because they were not properly housed or supervised. I consider those acts to be criminal in nature because they amount to neglect and cruelty even if they take place inside a public building. If you think you can do good from working inside the shelter, by all means continue to do so. If you are a volunteer at an animal shelter that routinely and systematically destroys healthy and treatable pets and you remain silent, go along to get along or, worse yet, you defend the killing of healthy and treatable animals, you are an enabler. You are helping to perpetuate the destruction of the very animals you say you want to help. You may tell yourself that you are doing good because you are helping to care for animals in their last hours, as if their death is some foregone conclusion. That may be the case for animals which are suffering or which are so sick that they simply cannot be saved. But do not sugar coat your volunteerism and make it seem like you are rendering compassion and love to a healthy and treatable animal which is about to be destroyed for no good reason at all. And believe me, there is no good reason for that animal to be destroyed in spite of what you may have been told. I have heard volunteers say that people who advocate for animals outside of the shelter are not “in the trenches,” do not see what they see and are part of the problem as opposed to part of the solution. But, here’s the thing. I am working to save the lives of animals by resolving systemic issues. I would no more set foot in a high kill shelter than I would help hunt coyotes or work in a stockyard. I do not need to be in the shelter to know that what takes place there is wrong. I know I cannot be there because then I, too, would be complicit in the killing. And to those volunteers who think it is appropriate to defend killing savable shelter pets, I say this: you are not only part of the problem but you are actively working to prevent the solution. It has been said that some in the sheltering industry have “drunk the Kool-Aid.” That they are so close to the destruction of animals that they simply cannot see any other way to think or function. That they believe that animals simply must die and that they are performing some morbid public service. If you volunteer in a shelter, please. Focus on helping animals and advocating for them from inside the system. Just don’t serve the Kool-Aid. Friend me on Facebook and Pinterest. Follow Houston Voters For Companion Animals, a political animal advocacy group, on Facebook and Twitter, and register to receive their newsletter. Follow No Kill Houston on Facebook and Twitter, and subscribe to their email list. Houston, TX – I recently wrote a blog regarding Bella, a dog that the Houston “Humane” Society claimed should be killed because of the way she looked i.e. she had white fur on her neck so she must be a Pit Bull (click here to read the blog). While posting the blog on Facebook, I wrote that 3 “shelters” within Houston’s city limits refused to adopt dogs that someone claimed was a Pit Bull or Pit mix* meaning all of those dogs were automatically killed if a rescue group could not pull them to safety i.e. Houston SPCA, Houston “Humane” Society and Harris County Animal Control. But, that list has recently changed. Harris County Animal Control confirmed that there Harris County Commissioners voted to end the breed discrimination at that facility meaning they now adopt out “Pit Bull” type dogs, along with other friendly dogs. Yes, Harris County AC still appears to be a high kill facility, but at least all dogs will now get a shot at adoption. And in fact, someone commented on my Facebook page that she had just adopted a dog from Harris County AC that had been labeled a Pit Bull. So, this is one step forward for Harris County Animal Control and for Pit Bull type dogs entering that facility. I congratulate the 2 pounds for being more progressive than the Houston SPCA and Houston “Humane” Society on this issue. I also ask people to consider which practices better represent your values as an animal lover. We should support only the facilities which represent our values, and continue to demand only the best practices known when it comes to sheltering our homeless pets. ** Studies show that shelter workers mis-identify dog breeds up to 87% of the time. Houston, TX – Last month, a woman named Nikki emailed me about a dog named Bella. Bella had been taken to the Houston Humane Society as a stray by an unknown man. Nikki had lined up a home for Bella with a wonderful family and personal friend, but the Houston “Humane” Society refused to allow Bella to be adopted. The Houston “Humane” Society’s excuse for not allowing Bellas to be adopted was that they claimed that Bella had some Pit Bull in her DNA. That was it. No behaviorial tests… someone just claimed that Bella was part Pit Bull. The Houston “Humane” Society intended to KILL Bella if an approved rescue group could not be found to rescue Bella from the Houston “Humane” Society. The Houston “Humane” Society had not bothered to do any DNA testing on Bella to verify that Bella had some Pit Bull in her before announcing that she would be killed. No, some employee just looked at Bella and decided to slap that label on her based on no facts whatsoever. Studies have shown shelter employees mis-identify dog breeds up to 87% of the time. Yet kill shelters, like the Houston “Humane” Society, continue to place breed labels on dogs and then use those labels as an excuse to kill perfectly wonderful, healthy and treatable, and adoptable pets. In fact, the Houston “Humane” Society is extremely good at making up excuses to kill pets as the last time that they were transparent with their numbers, their KILL rate was a monstrous 89%! I posted Nikki’s plea to save Bella on Facebook. Ninety people commented and most were shocked to learn of the Houston “Humane” Society’s horrific and deadly procedures. Some people called the Houston “Humane” Society and asked about Bella. One concerned citizen was told that animals are “evaluated by certified technicians” at the Houston “Humane” Society. So, the Houston “Humane” Society knows that the DNA test will show other breeds besides Pit Bull and that is exactly why they do not perform them. Because DNA tests would prove they are lying about the breed label their “certified technicians” have wrongly assigned to a dog, and DNA tests will prove that the Houston “Humane” Society is killing dogs for absolutely no reason. But the insanity at the Houston “Humane” Society gets even more insane as the Houston “Humane” Society employee also stated that the “certified technician” looks at the length of the dog’s fur and color and that “Pit Bulls usually have some white on their necks”. So there it is. The most insane reason I have ever heard to kill dogs. And I have heard a lot of insane reasons for killing from kill shelters over the years…. but this one tops the list as the most insane i.e. “white fur on their necks”. So, all those people working in DNA labs, running scientific tests to determine the breeds of various dogs, have apparently been wasting their time. They can quit all that wacky scientifically proven testing and just ask the Houston “Humane” Society’s “certified technicians” to look for white fur on dogs’ necks. My 7lb dog, Riley… with white fur on his neck. Heaven forbid he ever get into the hands of the Houston “Humane” Society or they might kill him. And even if Bella was a Pittie, so what? Multiple studies, including one done by the CDC, prove that a dog’s breed is not an indicator of behavior. Make no mistake, this is just an excuse to kill adoptable dogs. There is absolutely no good reason to kill Bella and thousands of dogs just like her. The Houston “Humane” Society makes up ridiculous excuses like this so they can make false claims to the public that they save all “adoptable” pets…… then claim that dogs like Bella are not adoptable and kill them. So, the next time someone says “shelters do not want to kill”, remember this story. Bella’s story absolutely proves that some kill shelters DO want to kill, and they CHOOSE to kill perfectly adoptable pets even when people beg to save them. And they do this every day of the year. Petie, the “Pit Bull” with the small children from the Little Rascals show. After many days, with hundreds of people working to find a rescue group that could save Bella, a rescue group did pull Bella. Bella was then adopted from the rescue group by the family that originally offered to adopt her…. but who were turned down by the Houston “Humane” Society. Below are pictures of Bella with her new brother. This is the dog that the Houston “Humane” Society said must be killed. I am very glad that animal lovers pulled together to save Bella, however I am angry and very disappointed that it took so much work, over so many days, just to save a dog from a facility that claims to be a shelter and calls itself “humane“. It should not be that difficult to save a dog from a shelter. I am also sickened knowing that there are many more dogs who have been, and will continue to be, killed by Houston “Humane” Society simply because of a label that someone made up. I do not call this sheltering pets. This is more like a slaughterhouse than a shelter. Shelters that truly care about saving lives, work hard to save ALL lives. Real shelters do not kill animals because of the way the animals look…. or if the animals have white on their necks. If you donate to the Houston “Humane” Society, or any other facility with this repulsive, deadly rule, such as Houston SPCA or Harris County animal control, this is what your donations pay for. Your donations are being used to kill perfectly adoptable pets even when others beg to save them. Learn the truth about this slaughterhouse and pass it on to your animal loving friends and family. More stories about this house of horrors are posted on No Kill Houston’s website here. Houston, TX – The senseless and monstrous “policies” of some kill shelters never cease to amaze and shock me. The below story, which I’ve posted word for word, was recently posted on Facebook (here) by a rescue group. Unfortunately, I’ve heard stories just like this before. A friend called me last year with an almost identical story, and other people have posted similar stories online. “We were contacted by the Houston SPCA on February 6th. They had a cat that was brought in microchipped to All God’s Creatures. We microchip our animals for this very reason in case they do end up at a shelter or lost. I was ready to go pick him up, but was told there was a 6 day stray hold by Candice (manager) at the SPCA. Plus, she wanted the name of the adopter so she could contact her if she wanted him back or not. Not realizing how the SPCA Houston works, I gave them Tanners adopters name and phone number. The following week (Feb 8-12th) I called numerous times to find out the status. Finally, getting a return call from Candice, she said that she had not been able to reach the adopter but wanted to continue to try being that she was off on Friday 12th. Monday comes and I start calling the SPCA, again. This time, I get a return call from Keisha Shaw (2/17), another manager at the Houston SPCA. She leaves a voice message stating that the adopter has been contacted and has come to pick up Tanner. I was thrilled (or so I thought). February 22nd, I call the adopter to see how Tanner was doing, now that he was back home. SHE SAID HE WAS AT THE SPCA. I was livid, now! Still having the [voicemail] on my phone from Keisha Shaw saying he was picked up by the adopter, I wanted to know what was going on. According to Candice, the case about Tanner was between the SPCA and the OWNER (adopter) not me. The owner did not want Tanner back because they had told her that he had become sick. I said then, that I would come pick him up. Candice stated that I needed to talk to Keisha Shaw, whom conveniently was not there that day. The next day when speaking to Keisha Shaw, she said it’s not All God’s Creatures cat. I questioned about why she said that he was picked up by the adopter. Her comment was she only said that the owned had been contacted. I guess she had forgotten that she had left that message on my phone. Because the Houston SPCA lies about their Save Rates, many people believe that it is a No Kill facility. But the fact is that the Houston SPCA is a high kill facility. The last time that they were honest with the public, their KILL RATE was 65%. Former employees have told me that they believe their current Kill Rate is around 85%! This is despite the fact that they had $36 MILLION is assets in 2014 and they are a Limited Admission facility–meaning they can say no to intakes when they get full. Considering how many pets the Houston SPCA kills, logic would dictate that such a facility would BEG rescue groups to take animals from them so that they do not “have” to kill them. But, logic goes out the window when dealing with slaughterhouses like the Houston SPCA. As this story, and other stories show, the Houston SPCA actually refuses to return a lost cat back to the rescue group that originally adopted him out even though the rescue group’s contact information is listed on the cat’s microchip! The Houston SPCA would literally rather kill Tanner than return him to the rescue group who repeatedly called and begged to get Tanner back to safety. And the Houston SPCA is so insistent on killing a wanted pet that their employees even LIE. Keisha Shaw, a manager at the Houston SPCA, left a voice mail message for All God’s Creatures (AGC) that Tanner’s adopter had picked up Tanner. But when AGC called the adopter to check on Tanner, Tanner’s adopter said that she did NOT retrieve Tanner from the Houston SPCA. When AGC called the Houston SPCA to ask why they had lied about Tanner being picked up, Keisha Shaw lied again and said she never said the adopter picked up Tanner. But AGC still had Ms. Shaw’s voicemail message proving otherwise. Click here to listen to Keisha Shaw’s voicemail. Listen to Keisha Shaw lie and state two times that “the owner came in for the cat”. It is mind boggling to any rational person to wonder what purpose was served by lying to All God’s Creatures telling them that Tanner’s owner had picked him up from the Houston SPCA. The Houston SPCA is a HIGH KILL facility, yet it seems that they lied for sole purpose of keeping Tanner so that they could kill him rather than return him to the rescue group who originally adopted him out, and who begged to get him back. In my opinion, only MONSTERS would do such horrific act. In no way, shape or form is this a “shelter”. As a foster mom, and as a human being with a conscience, my heart breaks for All God’s Creatures knowing that one of their own was callously and needlessly killed by the Houston SPCA while AGC begged to get him back. Tanner’s death was entirely avoidable. If you donate to the Houston SPCA, THIS is exactly what your donations pay for. Houston, TX – The Houston Chronicle recently published an article talking about Annise Parker’s “legacy” after 6 years as Houston’s mayor. The article was filled with a lot of “inaccurate” statements, especially concerning BARC. If we are going to talk about legacies, it is important that we look at actual history. And since it appears some people have conveniently forgotten what has taken place in the last 6 years, I’d like to recap. First, Parker claims in the article that she loves animals. Really? This is the person who admitted to trapping feral cats and taking them to BARC at a time when BARC killed ALL feral cats (or any cat that BARC claimed was feral even if he/she was just scared). When Parker trapped the cats, she knew that BARC killed all feral cats, because she was part of the 2005 Mayor’s Task Force report which reported on BARC and Houston’s other kill shelters. Yet, Parker took those cats to their deaths anyway. What kind of “animal lover” does that? Second, the article claims that Parker started BARC’s “transformation”. Actually, BARC’s “transformation”, if you want to call it that, began in Bill White’s last term in 2009. After many, many demands from animal lovers, Bill White hired the “change agent” who fired 75+ truly horrendous, animal abusing, employees at BARC. At the same time, citizens demanded that the city hire international, No Kill expert, Nathan Winograd to assess BARC. After the public donated the money to hire Winograd, he wrote a nearly 200 page, assessment, telling the City and BARC how they could stop killing healthy and treatable pets. All of this took place before Parker even took office. So, the day Parker took office as Mayor, BARC was perfectly poised to stop killing shelter pets. They had better employees, and a step by step guide showing them exactly how to do it. But, Parker did not require her employees to actually implement what Winograd recommended. That is 65,324 pets killed, or who died in BARC’s “care”, during Parker’s first 5 years in office. (Of course, the total number killed during her entire 6 years in office is much higher with 2015’s numbers that I don’t have yet). In fact, BARC’s Kill Rate INCREASED every year for the first 3 years that Parker was in office. And all this happened after she promised voters to do “everything in her power” to transform Houston to a No Kill city. If Parker had kept her promises, and if she had actually required that her employees rigorously implement all of Nathan Winograd’s 2009 recommendations, BARC would, no doubt, be a No Kill facility by now. But, she didn’t. Instead, she left the same management in place, year after failed year, doing the same failed jobs over and over…. and the results were disastrous. Parker waited 5 years and 11 months to even require that her employess save at least 90% of BARC pets for just 1 month. A nice little PR stunt, but what kind of “legacy” is that? Parker also kept Greg Damianoff in charge over BARC year after year, even though he totally failed to even try to end shelter killing. He does not even work at BARC full time. He shows up once a day for an hour and goes back to city hall. You cannot turn around a facility like BARC by not even working there all day. But, Damianoff and Parker were not trying to end shelter killing. And let’s not forget that Damianoff, and the Houston Animal Shelter Advisory Committee, that Parker appointed, made a deal with HFD to allow them to EXPERIMENT on BARC cats. And Damianoff is the person who allow(ed) his employees to violate city ordinances and kill pets before the city mandated 3 day stray hold period expired. In addition, over the years, I have received numerous emails from people saying that they offered to foster pets that were at risk of being killed by BARC, but they were turned down. BARC management i.e. Damianoff, chose to kill those pets even though people offered to save them. Click here and here. Many people will never go to BARC to adopt. 1) Because of the horrible location and inconvenient hours — Houston is 600 square miles and it simply is not convenient for a lot of Houstonians to go there; 2) People know that BARC is a kill shelter and they simply cannot stand to go and stare into the faces of animals that they know will be killed. So, considering how many lives were saved at this successful offsite adoption event, logic would dictate that BARC leadership would organize many more just like it. But, logic does not come into play when BARC leadership makes decisions. That event took place in July 2011, and I have yet to see a similar event. Another failure on the part of BARC management and Parker who left him in charge for 6 years. And who can forget Keiko, the horribly injured dog that entered BARC in 2010. She had serious head/eye injuries that so obviously needed specialized care, that BARC was not equipped to handle. (At the time, BARC was doing x-rays in a closet and had no specialized equipment for anything other than spay/neuters). Rescuers raised thousands of dollars to have Keiko cared for by a specialist, but BARC management refused to release Keiko to rescuers. BARC and ARA Dept employees lied many times about the state of Keiko in order to keep her there. This was not done in Keiko’s best interests. This was all done as a PR stunt. Despite not having adequate diagnostic or operating room equipment, BARC choose to operate on that poor dog. Not surprisingly Keiko died. Under Parker and the ARA Dept, BARC illegally banned volunteers because those volunteers spoke up about problems at BARC. The last ARA Dept Director also threatened to ban volunteers who were trying to network and save death row pets, because he didn’t like words like “last chance” posted on the volunteers’ own Facebook page. And BARC ticketed rescuers who spent their last dime trying to save homeless animals. And BARC killed animals even when alternatives were literally standing right in front of them. What Parker conveniently did not mention is that many of those same pets ended up on death row at BARC. RESCUERS then saved those pets. Not Parker. And let’s talk about that white elephant, multi-million dollar, “shelter” that she built with our tax dollars. She did not decide to buy some land “right after she took office” as she claimed in the article. Bill White had already designated a horrible piece of property off of Wayside for more kennel space. There were many problems with that property. 1) it was on the same property as a sewage treatment facility; 2) it was in a flood plain; 3) endangered birds were nesting in the trees there; 4) the neighborhood is in a zip code where BARC picks up the most strays i.e. that location is not conducive to high volume adoptions when there are so many strays already there. People from that neighborhood told me that they met with Parker and asked her to build the facility somewhere else, but she told them that she couldn’t. She told them it was a done deal. But, miraculously after thousands of people complained and no one wanted to donate to build in that foolish location, THEN Parker decided to build kennel space right next to BARC’s old facility. This did not occur “right after she took office” and it was not of her own volition. And, let’s remember that when she was trying to sell people on donating to build that sewage treatment adjacent facility on Wayside, she said that BARC’s current location DETERS adoptions. So why did she then turn around and spent millions of dollars to build in the exact location that she had earlier said deters adoptions? More revisionist history at work. BARC’s current location does deter adoptions. So, building more kennel space/an adoption facility there is a waste of tax dollars and donor dollars because few people will go there to adopt. That means fewer adoptions, so more animals losing their lives as well as fewer adoption fees (i.e. smaller return on that investment). And it means higher costs (it costs MORE to kill animals than to save them). That facility will waste money and hamper life saving efforts for decades to come. Thanks for that “legacy”. And it gets worse, if you can believe it. After the white elephant was built, BARC/city of Houston can’t even use it fully because Parker failed to budget money to actually pay employees to work there. Dogs are taken to the new facility during the day, but have to be taken back to the old facility at night, if they aren’t adopted. This means BARC has to leave the kennels in the old building open, in case the dog has to come back. And cats were completely forgotten during any plans. They aren’t housed in the new facility at all. Parker spent $12 million on a facility and it essentially added NO additional kennel space. Not only that, but before that thing was built, she said it would cost $12 million to build. That $12 million is gone and in the last report that I saw, she said it will cost another $20 million to finish. How can anyone be off by $20 MILLION dollars? So let’s recap: tax payers and donors are supposed to spend $32 million to build more kennels in a horrible location that DETERS adoptions and adds that no new kennel space. In addition, in 2009 Bill White set aside millions of dollars that were supposed to be spent to renovate the horrendous North Kennels. Click here to see pictures of the nightmarish, dungeon-like, North Kennels. Architects were paid hundreds of thousands of tax dollars to come up with plans yet, 6+ years later, those kennels still have never been renovated. What did Parker do with all of those millions that were dedicated to BARC? And let’s talk about BARC’s recent claimed 80%+ Save Rate. I’ve caught BARC/COH lying about their Save Rates at least a ½ dozen times over the 6 years of Parker’s terms. Here is must one instance. So, I absolutely do not believe their claims now. BARC management uses a lot of “fuzzy math” to come up with their Save Rates. In addition, a new “program” that BARC recently started includes dumping friendly cats in BARC’s parking lot. This is a perversion of a program that was created to save more cats’ lives at kill shelters i.e. the shelters are supposed to spay/neuter friendly, healthy, adult, free roaming (non-feral) cats and return them to the location where they were picked up. If the cats look healthy/well fed, they are most likely someone’s pet and will find their way back home. If not owned, the cats are obviously finding food somewhere in the area and should be returned. But, BARC does not return the cats to the location where they were picked up. BARC is dumping them in their parking lot. Two cats were attacked and killed by dogs a few months ago in BARC’s parking lot. I believe that these were most likely indoor only cats that didn’t know to be afraid of dogs and didn’t know how to survive “in the wild”. And an email was recently forwarded to me about a group cats that were friendly, perhaps indoor only cats, that had been up for adoption at BARC. But the BARC employee said the cats were “out of time”, and they were going to “ear notch” them and release them. 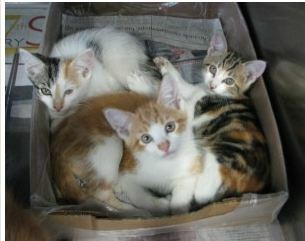 If they are released in BARC’s parking these cats would never find their way home, nor would their owners ever them. I supposed this is better than killing them, but it is not a good solution for these cats and this is not how this program is supposed to work. If BARC had leadership that actually cared about saving lives, this program would never be perverted in this manner. This is just a way to count “Saves” instead of “Kills” so Parker could claim that 94% Save Rate last November. They are risking cats’ lives just to make a better Save Rate claim to the media. In addition, BARC/COH is paying a group literally millions of dollars to ship animals other communities. The problem is that those communities also have kill shelters. This means that even if those BARC pets are going to No Kill rescue groups in those communities, pets on death row there will not be saved because the rescue groups are full with BARC pets. Causing the death of pets in another communities is not a “Save”. It is just transferring the killing somewhere else to make BARC “look” better. It is trading one life for another. This is not a solution. Further, a 94% Save Rate is not “unheard of” in a big city as Parker claimed. Animal control in Austin and Williamson County, both very large communities, have been saving over 90% for years now. And, there are hundreds of Open Admission animal control facilities doing the same all over the country and have been for 15 years. Click here for a list of those communities. There were Open Admission, No Kill facilities when Parker took office. In fact, the number of Open Admission, No Kill communities increased from about 5 to hundreds after Parker took office. The only thing she had to do was require that BARC management copy their successes. But, she didn’t. For six long deadly years, she didn’t. And BARC is still killing thousands of pets. Yea, that is quite a “legacy”. 5) mandate transparency by requiring shelters to report how many animals they kill;. 8) protect feral cats and feral cat caretakers; and more…. Yet Parker opposed the bill. And true to form, BARC management fought life saving, shelter reform legislation again in 2013. Click here and here. Parker’s opposition against state wide, shelter reform legislation is worse than her failure to act. She actively fought against those life saving efforts. That is nothing short of an atrocity. And during Parker’s terms, BARC and the other kill shelters in Houston, killed tens of thousands more pets than all of the cities with larger human population. When it comes to animal shelters, Houston is literally the Biggest Loser. Here are some more of Parker’s promises to animal lovers the first time she ran for office. She has totally failed to do most of what she promised voters. Considering the above, I’d say that the word “legacy” is accurate only if we use the dictionary definition which is “associated with something that is outdated or discontinued” and perhaps if we add the description “complete and utter failure“. Parker’s legacy does not include an attempt to push Houston into the 21st century of sheltering. She did little to nothing to “transform” BARC and she allowed it stay in the dark ages of catch and kill sheltering for 6 long years. And she made irresponsible and wasteful use of taxpayer and donor dollars to build a facility that has not, and will not, measurably increase life saving vs. had it been built in an intelligent location. That is Parker’s legacy. And it is a “legacy” that Houstonians will be stuck with for decades. You might wonder why I bothered to recap some of Parker’s failures. After all, she is term limited out and Houston recently elected a new mayor and some new city council members. 1) It is important to remember history accurately. Revising history to suit one person’s agenda, does nothing to help the rest of us in the future. 2) Like Bill White, Parker may run for another office. The Chronicle article stated that she was considering running for Harris County Commissioner or County Judge. We need to remember the true history of Parker’s 3 terms so we can make wise decisions at the polls in the future. I hope that Houston’s new mayor and city council members are forward thinking and will be willing to think outside the traditional sheltering “box” and that they are willing to make decisions, even the difficult decisions, that are required to move Houston into the 21st century. If they are, then Houston will truly have a legacy that is worth boasting about. Houston, TX – On December 12, Houston will have run-off elections for mayor and 7 city council positions. In order for Houston to end the killing of shelter pets, it is CRUCIAL that we elect people who care about this issue, and who are willing to work to solve it. So, it is very important that we question the candidates about their plans to end shelter killing in Houston. Before the general elections, we sent all of the candidates a Candidate Survey on sheltering issues. However, some of the candidates in the run-off elections did not respond. ASK THE CANDIDATES ABOUT THEIR STANCE ON SHELTER ISSUES. Houston Voters For Companion Animals has made it very easy to contact them as we have collected all of their email addresses. The only thing you have to do is copy and paste them into an email. Feel free to use the sample question below or create your own question(s), just PLEASE DO contact them. Houston’s taxpayer funded city pound (BARC) killed more than 10,000 pets in 2014 alone. Yet, other communities have ended shelter killing entirely. If elected, what are your plans to end the killing of shelter pets at BARC? The following candidates have not responded to our Candidate Survey and did not attend our Candidate Forum on sheltering issues. *Sylvester Turner, running for mayor and all of the candidates running for City Council At Large Positions #4 and #5 have already responded to our Candidate Survey and their responses are posted on HVFCA’s website here. Houston, TX – Just One Day is a nationwide campaign which occurs every year on June 11th. It is a day that shelters nationwide are asked to explore and experiment with alternatives to killing shelter pets. These are alternatives that have already been proven successful in 200+ communities. In 2014, roughly 1,200 organizations pledged to participate in the Just One Day campaign. They put down their “euthanasia needles” and picked up cameras instead, to photograph and market animals. They reached out to rescue groups, hosted adoption events, stayed open for extended hours, and asked their communities to help them empty the shelters. Roughly 10,000 animals were adopted that day across the nation. Houston’s pound (BARC) took the pledge to stop killing for Just One Day in 2014. They posted their promise to not kill pets on their blog and they convinced Proler Southwest/Sims Metal Management to sponsor them based on their promise. 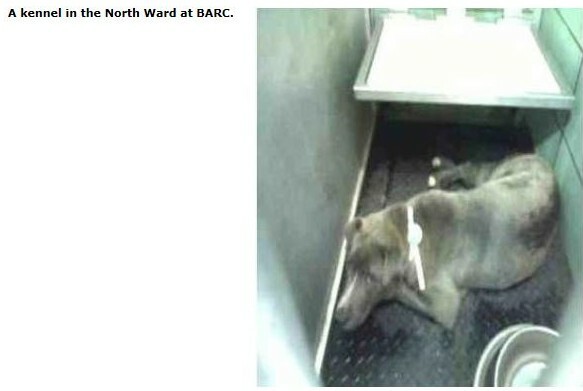 BARC promised the media that they would not kill any savable pets on June 11th. The city of Houston sent out a Press Release promising Houstonians that they would not kill savable pets that day. Click 2 Houston reported BARC’s pledge here. KHOU reported on BARC’s pledge here. Guidry News reported BARC’s pledge here. BARC management promised everyone that they would not kill healthy and treatable pets for Just One Day, but they lied. In fact, BARC killed THIRTY innocent lives that day. That’s right, THIRTY! That is roughly 6 pets killed by BARC every single hour that BARC was open that day. BARC killed SIX pets every single hour that they were open. That means that BARC killed 1 pet every ten minutes! Of the 54 animals that left BARC that day, BARC sent more than half of them out in body bags. BARC did not bother to update the kennel cards for 2 dogs, so who knows what happened to them? Considering, the mass slaughter that day, I would bet money that BARC killed them as well. See the kennel cards for “outcomes” that day here. Instead of killing 30 pets, BARC’s leadership could have picked up a phone and called rescue groups and foster parents to help pull more pets to safety. They could have called the media to help garner more of the public’s help in getting those 30 pets out alive. BARC leadership could have gotten on their computers and MARKETED those animals. BARC leadership could have organized dozens of adoption events all over Houston’s 600 square miles, like this one in which over 400 BARC animals were adopted. There are dozens of alternatives that BARC’s leadership could have taken that day instead of KILLING 30 pets. When I first looked at the kennel cards of all of the innocent lives that BARC/City of Houston snuffed out that day, I felt sick. I can still hardly look at those precious faces without tearing up. But, now I am FURIOUS. I am furious at the lies and senseless killing. And I am furious that my tax dollars are used to enable massacres like this. I am furious that when Annise Parker first ran for mayor, she promised to “do everything in her power to transition Houston to No Kill community” but those promises have been nothing more than lip service. For the 5 YEARS that she has been in office, she has done squat to keep her promises. During that time, over TEN THOUSAND animals have been killed by BARC EVERY YEAR. And in those 5 years that she has allowed BARC to continue killing, HUNDREDS of other Open Admission pounds and shelters have stopped killing. In fact, there are over 200 communities with Open Admission, pounds and shelter, all over the country, saving 90% to 99% now. Most of them achieved their successes after Annise Parker made her No Kill promises to Houstonians. In fact, the newest Open Admission shelter to join the No Kill club is The Humane Society of Fremont County CO. That shelter used to kill over 50% of all animals in their care, just like BARC. But, several months ago, they hired new leadership. They hired Doug Rae, who is a hard working and compassionate leader and who is dedicated to saving lives. Do you know what happened? Fremont County killed ZERO animals in December. That is right, ZERO. Doug Rae’s leadership transformed a shelter that was killing 50% to one than killed 0%, within a few months. So, while Annise Parker take pictures for her “Pet of the Week” PR stunt — and while many of those same “Pets of the Week” then end up on BARC’s death row — shelters all over the country have worked hard to implement the programs and services that allowed them to stop killing. Yes, BARC’s Save rate has increased slightly in 2013 and 2014, and an increased save rate is nice. However, the miniscule increase in saving lives is revolting! What kind of person, who has the power to hire employees who would end shelter killing, instead does nothing year after year after year? Why isn’t this travesty at the top of her “to do” list? It’s not like ending shelter killing is a secret. Nathan Winograd gave the city of Houston a step by step guide in 2009. The only thing Annise Parker has to do is hire shelter leadership, like Fremont County did, who will actually work hard to rigorously implement all of the programs and services of the No Kill model of sheltering. So, why does Annise Parker continue to do nothing to end pet killing in Houston? If we all do not demand that the city hire a shelter manager who will end the killing, nothing is likely to change. We’ve seen this for 5 years. Citizens must be the driving force for change for the animals. That is why I am asking you to demand better from Annise Parker and Houston’s city council. You can find their contact information listed here. Calling them is best, but letters and email are good too. If you have trouble coming up with talking points, you can find some on this petition. You can also sign the petition which will send an email to the mayor and city council. But, please do not let this be the last time that you speak out for the animal’s in Houston’s pound. *As a result of BARC and the city of Houston’s lies, BARC has been removed from the Just One Day website. Follow No Kill Texas Advocates, a No Kill political advocacy group, on Facebook and Twitter, and register to receive their newsletter. Follow these stories and writing by other Texas writers on “Texas Animal Writers” on FaceBook. 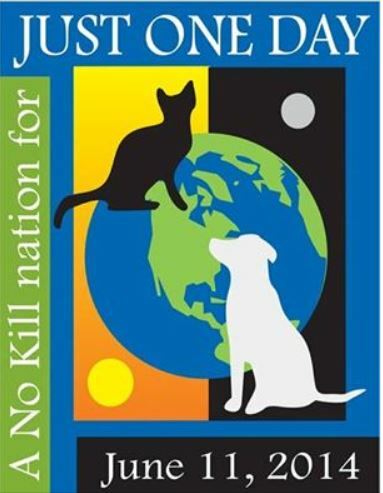 Will you support No Kill efforts? Houston, TX – No Kill Houston is an advocacy group who is working to transform Houston to a No Kill community. This is no easy task since Houston has the distinction of having 5 kill shelters that are killing approximately 80,000 shelter pets each year. There are now approximately 500 cities and town who have become No Kill communities, meaning their Open Admission pounds and shelters are saving 90% to 99% of all animals entering their doors. No Kill Houston wants this for Houston. We know that it is possible, but we need the support and advocacy of Houston animal lovers to move the No Kill goal forward in Houston. Since Houston is a huge city of over 1 million people and is spread out over 600 square miles, it is extremely tough to try to reach all Houstonians to educate them regarding what is going on in Houston “shelters” and also educate them on how Houston can end the killing of shelter pets. 2015 is an election year for mayor and city council positions, so it is a critical time to raise awareness about how the right LEADERSHIP in Houston could make all the difference in the lives of Houston shelters pets. If we animal lovers band together, I have no doubt that we can swing the elections, and elect people who will actually work to transform Houston to a No Kill city. 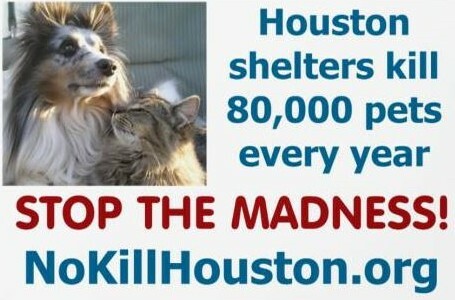 No Kill Houston is currently running photo contest/fund raiser which will allow them to do more “advertising” in 2015 to reach more animal lovers. The top 13 photos with the most votes will be featured on the cover and pages of No Kill Houston’s 2015 calendar. Entering the contest is only a $5 donation and votes are a $1 each donation. If you want to make sure that your pet is shown in the calendar, you may also “Reserve a Day” meaning your pet’s picture will be shown on the day that you choose. Donations are tax deductible. Click here to go to the contest web page. If you do not want to enter the contest, but do want to make a donation to support No Kill efforts, you can do so by clicking here. Please donate generously. No Kill Houston is also allowing rescue groups and animal friendly businesses the opportunity to market their organizations on the pages of their calendar. The sponsor’s name, logo, website address and/or any other requested information will be listed across the bottom of a calendar page below the winning monthly photo. To sponsor one month in the calendar is only a donation of $125 for 501(c)(3)s or $225 for businesses. (Individuals may also sponsor a month at the non-profit rate). If you are interested in this marketing/sponsorship opportunity, please email No Kill Houston at NoKillHouston@yahoo.com ASAP as the contest ends on January 1st at midnight. Calendars will be shipped out in early January and sold at various events. BTW: If you are considering a donation to local or national animal related charity, I would strongly suggest that you do some research first. I say this as someone who has, in the past, donated to, and volunteered for, local shelters thinking they were No Kill shelters, but found out later that they were actually high kill shelters. Just because an organization may have the word “animal”, “humane”, “protection”, “ethical”, “prevention of cruelty” or “shelter” in their name does NOT mean that they are actually working to save animals. 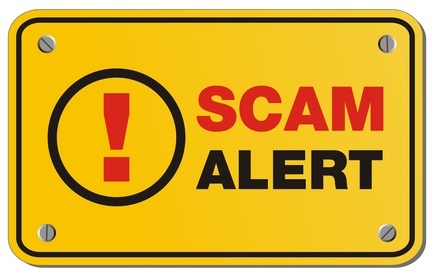 There are a lot of frauds out there, and in the past, I have been duped by some of them as well. Houston has five kill shelters/pounds. Many people believe that the 3 limited admission “non-profit shelters” i.e Houston SPCA, Houston Humane Society and Citizens for Animals Protection (CAP) are No Kill. They are NOT. Far from it. The kill rates of these 3 facilities are as high or even higher than Houston’s high kill pound (BARC) or Harris county’s high kill pound. I would never tell anyone to not adopt from these facilities. Obviously, the animals there need out. Their lives depend on it. However, be aware that if you send them money, that money could very well be used to buy the poisons they use to kill animals. Perhaps do a Google search with the charity’s name & the word “kill”. You might be shocked at what you find. Or, check No Kill Houston’s site. There is a lot of information there about what these “shelters” are actually doing. If you are considering donating to a national animal related charity such as HSUS, ASPCA or PETA, please do some research as well. I have personally donated my hard earned dollars to PETA and ASPCA only to find out later that they fight against everything I believe in. Not only that, they are kill shelters as well. Also, although the HSUS claims to “rescue” various animals, they actually have no shelter. And the HSUS has historically fought against No Kill efforts. They have fought hard to kill some animals such as the victims rescued from Michael Vick’s house of horrors. These organizations rake in millions of dollars in donations, but do little to nothing to actually help pets. You can start your research about these national organizations here. In the meantime, have some fun and enter No Kill Houston’s photo contest. Your companion may just become a 2015 calendar Pin Up! Click here to enter and vote in the contest!